As the May flowers begin to bloom and to fill the air with the kaleidoscope of colors and smells to awaken our senses to our hopes, our wishes and to our anticipation of what is to follow. So too, with the aspects in the night sky during the 16 Scorpio 01 full Moon at 8:36 p.m. PDT on May 5th 2012 is revealing the complexities, intrigues and secrets we need to face in the coming months and the area we need to concentrate on, if we are to meet the challenges, head on. This is the second of five Super Moons this year which indicates that it is at its closest distance to the Earth, which intensifies our actions, emotions, and our involvements in everything that concerns us at this time. This moon phase is emphasizing that we need to look through the eyes of others to see a different viewpoint then our own. In this way we will be able to learn to treasure and to alter how we view our selves, our abilities, our surroundings, our supports and how intricately involved and connected we are with all that the Universe has created. In this way the essential truths and desires of any situation or circumstance may be more easily deciphered, and the benefits and the disadvantages are revealed and exposed. 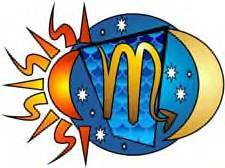 “The Sabian symbol for the Moon in 17 degrees of Scorpio and for the Sun in 17 degrees of Taurus is taken from “The Sabian Symbols in Astrology by Marc Edmund Jones”, and what follows are my comments. Scorpio 17 A woman the father of her own child This is a symbol of the eternal conflict between the practical involvements and the ideal potentialities of human nature, as here emphasized in man’s conscious individuality. The soul feels the weight of its transient responsibilities while the indwelling and immortal spirit is sensitive to its need for an enduring place in the scheme of things. The recurrent virgin birth of self is its reconciliation with its world through their common center of reality. The keyword is nucleation. When positive, the degree is an illimitable self-potentiality with effective spiritual or ideal as well as practical or everyday orientations, and when negative, a characteristically anarchistic self-sufficiency. Taurus 17 A battle between the swords and the torches This is a symbol of the eternal struggle between the practical necessities or transient competitions of life on the one hand and the motives and meanings which give them direction and order on the other, as here emphasized on the world stage. Man survives and gains a genuine self-fulfillment as he aligns himself with the cause of enlightenment while yet respecting the manifestations of might. The keyword is resolution. When positive, the degree is high organizational skill and an ability to bring the magic of understanding to any specific difficulty, and when negative, a loss of self-competence through conflicting compulsions of necessity and desire. These symbols speaks to our inner higher spirit, that in finding our real self and nurturing it, that we take the feminine and the masculine in each of us and unite them as one in bringing into reality our creative abilities, our full potential, and our ability to create harmony from chaos. At its utmost this represents an astonishing aptitude for undertakings and the ability to find significance and purpose in all God’s creation. The need at this time is to reconcile our conflicts and differences that may arise from our spiritual convictions versus our material and physical needs without compromising our integrity. Our ability to nourish our negotiating and mediating skills within ourselves and others is our key for success. The challenge is in the understanding and the wisdom when improvisation is called for and when the time for compromise is needed and when one should withdraw until the proper time to continue. The saying “putting ourselves in the other person’s shoes” helps us to gain different viewpoints, attitudes and options to any situation or problem. As this Full Moon appears on the horizon we need to remind ourselves to look at our blessings and our difficulties through the eyes of others in order to appreciate and have the gratitude in what we have and what we are about to receive and to that which we need to do without. Astrology like any other subject one decides to study, because one loves and enjoys it, becomes second nature that continues to grow, until one no longer can control the urge, but to allow it to go its merry way. This has become my obsession, in that the more I learn, the more I have realized that I have not scratched the surface with so much available at our finger tips through the internet as paperbacks, hardbound, eBooks or PDF downloads. There are so many areas to be discovered and to be mastered that one begins to wonder where one should start? My choice was to begin with the very early writers of the art, and I am lucky to commence at a time when the translations of early writings into English are beginning to be more plentiful and easier to obtain. Some of the translations are still difficult for me to comprehend and to get a handle on the meaning, the transcripts hoped to convey. How bless are we, who desire to acquire more information and knowledge, that by diligently studying what is available we will have a better grasp and understanding of where we came from and where we are going. As more traditional and classical astrology manuscripts have become available, a surge of interest has gained a momentum and continues to grow, and more is sure to come. Although I still consider myself a modern astrologer, my deep desire to study the classics has made me a hybrid that works well with what I have already learnt and mastered. Working with both systems and not giving preference to either is my goal. Since I was born in a culture very different from my parent’s, I am comfortable combining the two worlds, so that it would work for me, and represent who I really am. It comes naturally to me to see both sides and to reconcile the apparently opposites to work together as one unit. With this in mind, the traditional system of sect is determined by the placement of the Sun in a chart to decide on the order of placement, the amount of energy, the amount of power, the qualitative performance of each planet, is implemented by dividing them into two categories. One consisting of the planets that work in sympathy and empathy with the daytime, which is termed as diurnal, which is led by the Sun followed by Jupiter and Saturn, while the Moon, Venus and Mars, comprise the nighttime or nocturnal team of planets. Mercury is considered neutral, depending on whether it appears on the horizon as a morning star, in which it allies itself with the diurnal sect, and likewise if it appears as an evening star in the chart, the nocturnal sect. An important point to note is that planet’s sect whether it is considered malefic or benefic is a qualitative measurement of how well it will perform. It is said that a planet in its own sect, whether benefic or malefic will perform better, and in its opposite state, be in a weaker position to carry out its duties. Malefic planets appear to be more problematic and can be quite benign and at the same time even beneficial if not more constructive then the benefic planets in some circumstances. Lately my thoughts about a planet out of sect have changed, and have taken a twist I did not expect because of my own personal experience. 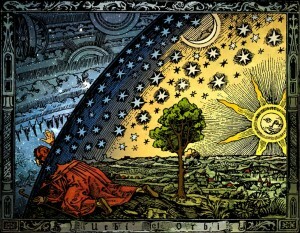 I have always felt the axiom “As above, so below” to be true and is demonstrated all around us, every moment of the day. All my life I have considered myself a day person, who performs everything better in the daytime. Late one evening I needed to think and work something out and was at a point of exhaustion when I finally thought I had the project finished. The next morning with a clearer mind and hoping to see and benefit from my hard work, I was disappointed with the outcome. Not only did I have to redo the project, but for some reason it seems that what I was trying work out, gave me the inspirations for other avenues in approaching any solution to any problem. I began to wonder if this would apply to a planet in the wrong sect, is it possible that not only does it operate in a weaker position, but would it operate in a more erratic and unexpected way then anticipated? Whether it was a benefic or malefic, could it perform as it’s opposite and out perform it, depending on the situation and aspects? Studying and looking at my own natal chart applying the essential dignities and the bounds, I found this to be true. Mars in my day chart below the horizon and Venus on the midheaven seems to display attributes of Uranus, surprising me at every turn, but I find that my stellium in Gemini finds this quite agreeable. My conclusion on the matter, is when ever I see a chart with planets out of sect, I will proceed with caution, and not jump to the obvious conclusion and see if it might act in a more erratic manner than one might expect. The keyword is caution, as the assumption of what dos and don’ts a planet should follow and stick with may derail one’s delineation of a chart. My personal opinion is that one needs to use caution, wisdom and intuition to separate a great delineation from a good one when applying the technique of sect.